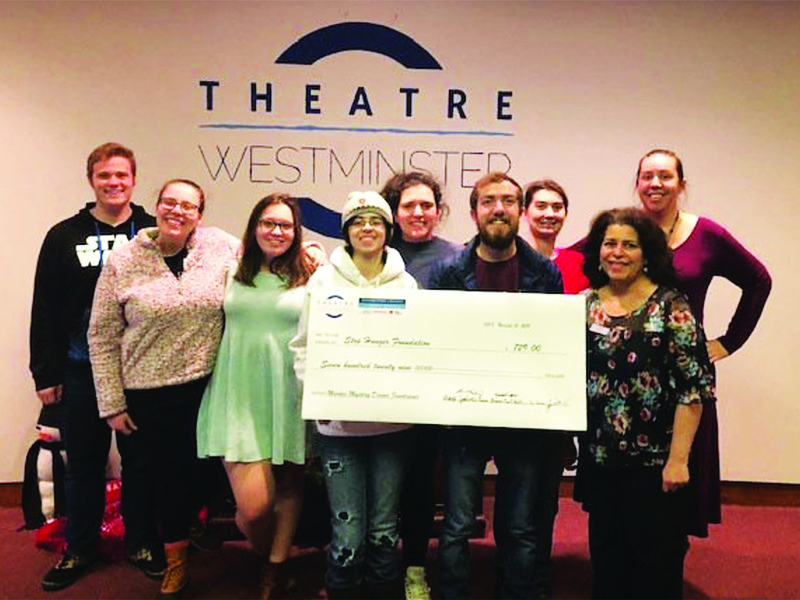 NEW WILMINGTON, PA – A class of Westminster College students will present Brew & the Bard: An Evening of Shakespeare’s Comedy at 7 p.m. Monday, April 29, at the Hop Asylum Brewery in New Wilmington. NEW WILMINGTON, PA – Theatre Westminster and Sodexo Dining Services will host a Murder Mystery Dinner fundraiser at 6 p.m. Saturday, Nov. 10, in Berlin Lounge located in Westminster’s McKelvey Campus Center. Even though Westminster College is tucked in small, rural New Wilmington, PA, graduates leave with a sense of worldliness after study abroad experiences or classes that challenge them to think on a global scale. Alumna Lisa Raidel Devlin '02 is one of the many faces to leave Westminster with that feeling. Westminster College’s chapter of Alpha Psi Omega presents “Slacks and Top” and “Not Drawn to Scale,” back-to-back features. Both shows run Oct. 12-14 at 7:30 p.m. and Oct. 15 at 2:30 p.m. in the Beeghly Theater located in Patterson Hall at the Collge. The shows are open to the public, and admission is granted at the door by donation. Opera Westminster will present “Scenic Views,” a collection of international selections, Saturday, Nov. 5, at 7:30 p.m. in Orr Auditorium. The concert is free and open to the public. Theatre Westminster will present four upcoming showings of “May 4th Voices: Kent State 1970” in Beeghly Theatre.